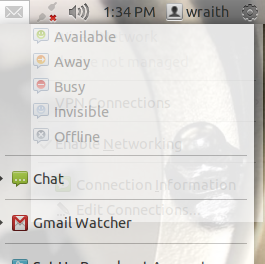 Gmail Watcher is a gmail and google apps notifier that integrated into Ubuntu’s default messaging menu in top-panel. It supports multiple accounts and instant notifications. 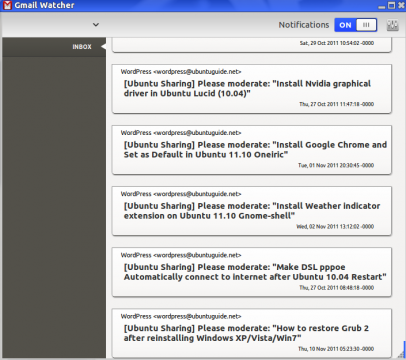 1 user responded in " GmailWatcher – Gmail notifier integrated into Ubuntu’s Messaging Menu "
Hi. Ok, it works, but you can’t open the gmail web browser page directly from the program. There’s a way to do it, a button, a command?